The Yamaha ATV Rear Cargo Box is designed for durability, made from plastic with solid integrated hinged lids. Water and dirt-resistant seal and design. Two cam-over elastic latches which can be locked with padlocks. 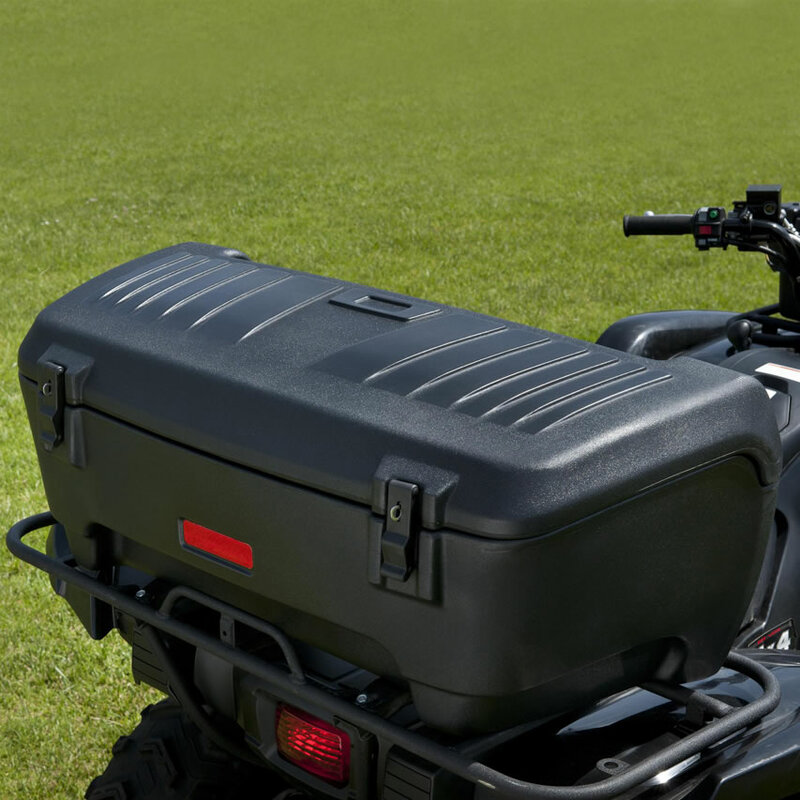 Solid mounting system that works with most Utility ATV racks. Size: 37" x 16" x 14"